Click on the book title to reach the review. Amidst the complexity of daily life, we are all making choices and decisions, small and large. 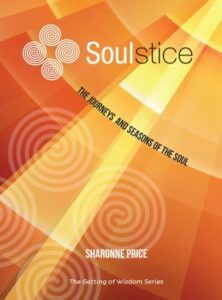 Drawing on traditional spiritual practices and applying them to life today, this little book will guide you into being more in touch with God, life and yourself and to put into place ways of ‘staying awake’ to the Spirit, both in daily life and in relation to discernment of direction. Ann Siddall is a former Director of Stillpoint Spirituality Centre for the Uniting Church in SA and an experienced spiritual director. Chapter 3 Who am I? 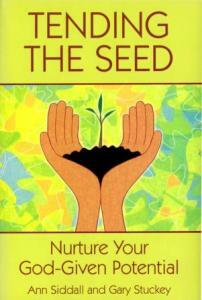 This booklet can be obtained from Stillpoint Spirituality. To enquire about availability, phone the Stillpoint Office (located at Christ Church) on (08) 8271 0329, or email stillpoint@internode.on.net. 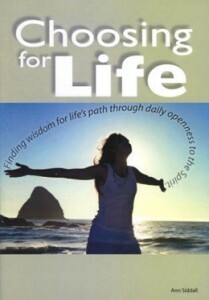 This 24 page publication is a companion to Choosing for Life written by the first author and also available from Stillpoint. Ann Siddall is a former Director of Stillpoint Spirituality Centre for the Uniting Church in SA and is an experienced spiritual director, retreat leader, small group facilitator and writer of material that includes resources around individual and corporate spirituality. Rev John Blanksby is a retired Uniting Church minister who has a long-standing interest in discernment practices and is currently involved in a mentoring and discernment ministry. This 103 page publication reveals how spiritual practices embraced by generations of Christians can become tools for nurturing your God-given potential. This six-week small group study encourages deeper understanding of God’s love and affirmation. Discerning God’s hopes for your life grows naturally out of recognising God’s profound care for you. Rev Gary Stuckey is former Director of Stillpoint Spirituality Centre and former Uniting Church minister for the Stillpoint Faith Community. He has a long-standing interest in discernment practices and in leading discernment retreats, and is an experienced spiritual director. He is a life-professed brother of the Community of the Transfiguration, the monastic community based in Teesdale, Victoria. 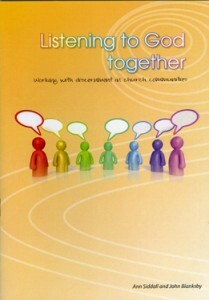 This booklet can be obtained from Stillpoint Spirituality To enquire about availability, phone the Stillpoint Spirituality Office (located at Christ Church) (08) 8271 0329, or email stillpoint@internode.on.net.